Variety reports that Yvette Nicole Brown (Drake&Josh, Community) is set to portray the role of Aunt Sarah in Disney’s live-action remake of the 1955’s Lady and the Tramp. In the animated film, Aunt Sarah is Darling’s aunt who took care of Jim Dear and Darling’s baby while they were on leave for a few days. She is against the idea of having dogs around babies and is the main reason Lady escapes the home. The film stars Tessa Thompson (Sorry to Bother You, Men In Black) as Lady, Justin Theroux (The Spy Who Dumped Me) as the Tramp, Thomas Mann (Kong: Skull Island) as Jim Dear, Kiersey Clemons (Flatliners) as Jim’s wife Darling, Ashley Jensen (The Lobster, Hysteria) as Jackie, and Benedict Wong (Doctor Strange) voicing Bull, an English bulldog. Charlie Bean (The LEGO Ninjango Movie, Tron Uprising) will be directing the live-action/CG hybrid film from a script by Andrew Bujalski. Aside from Mann and Clemons, most of the cast will play CGI characters like we have seen in recent Disney adaptations such as Jungle Book and Beauty and the Beast. Lady and the Tramp tells the story of an American Cocker Spaniel named Lady who lives with an upper-middle-class family but is set astray when the family has a baby. Lady ends up meeting a mongrel known as the Tramp on the streets. They embark on a romantic journey and eventually fall in love. The live-action/CG project is set to premiere on Disney’s digital streaming service which should launch in 2019 and will have four to six movies released per year. There will also be content from Disney brands such as Pixar, Marvel, and Star Wars that debut exclusively on the platform. Disney’s Lady and the Tramp was first released in 1955 and introduced audiences everywhere to a spellbinding love story. The film focuses on Lady, a pampered cocker spaniel belonging to a well-to-do family, and Tramp, a streetwise mutt. After her owners have a baby, Lady finds herself out on the streets left to fend for herself. When Lady finds herself in danger, Tramp saves the day and tries to teach her that there’s more to life than the inside of a house. Adventure happens and love blossoms as a result. 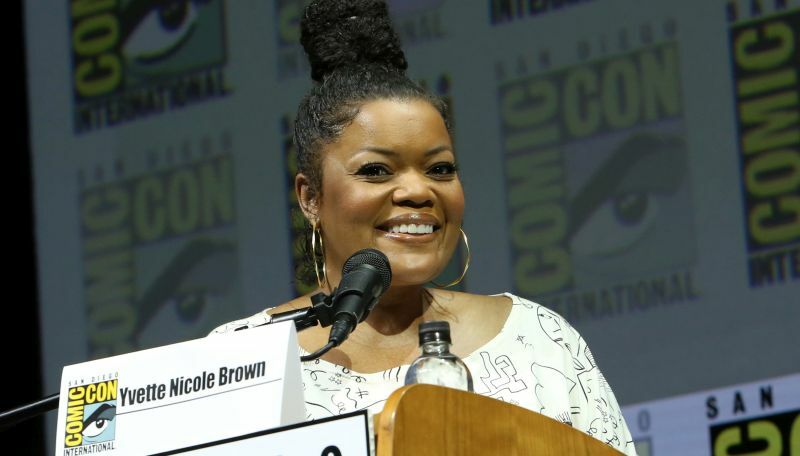 The post Yvette Nicole Brown Joins Disney’s Lady and the Tramp Remake appeared first on ComingSoon.net.